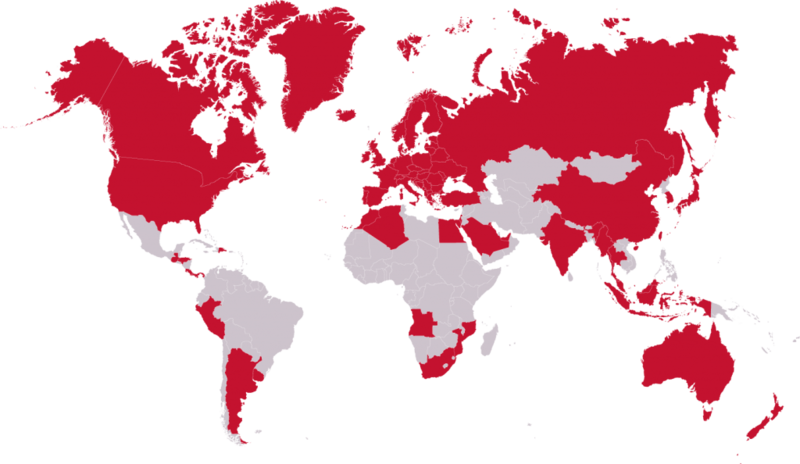 Cabo Vírgenes currently is exporting its products to more than 30 countries around the world, North and South America, Europe, Africa, Asia and Oceania. To these countries we export both Argentine red shrimp and all its value added products. We commercialize whole argentine red shrimp and other processed products (HLSO, PD, PUD, Easy peel). The three brands of Cabo Vírgenes.